Being a Latina with German roots growing up in a Mexican neighborhood, who would have thought one of my favorite cuisines would be Cajun! 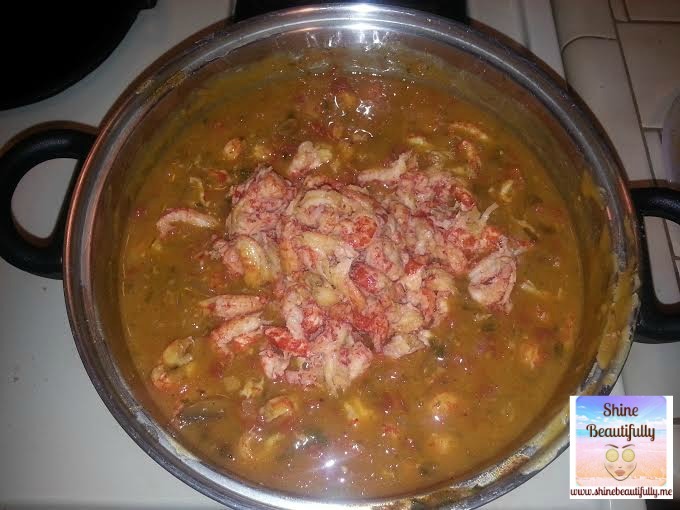 I searched all across the web for an easy crawfish etouffee recipe. The ones that I found didn’t serve more than 4 people. With all the family get-togethers, I needed a recipe that would serve everyone enough to have a full belly. This recipe serves about 6-8, for a smaller meal, cut ingredients in half. 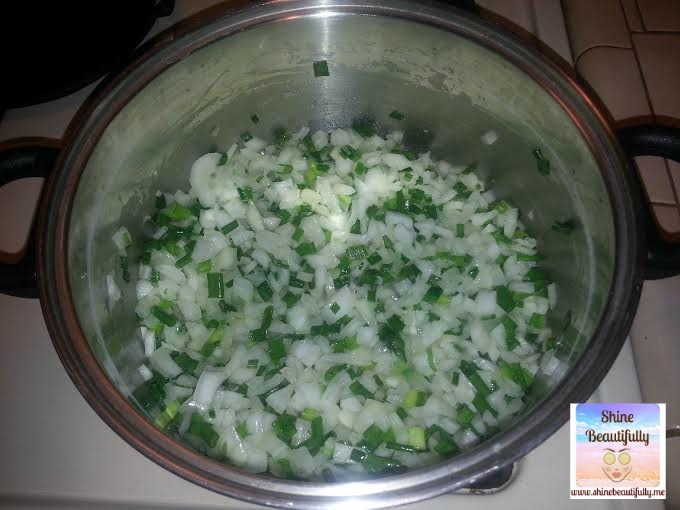 Melt 1 1/2 stick of butter on medium high heat; add in your onions and green onions and sauté them until soft. Then add your chopped tomato, along with the Cajun seasoning. When adding salt, pepper, garlic powder, and cayenne pepper, start off with 1 teaspoon and just add a dash here and there according to taste. Cook the vegetable and spiced mixture for about 25 minutes and/or the till veggies are real soft and look smooth. Once your veggies are done, add in your cans of Rotel. To make in add 1 tablespoon at a time of flour (add more butter if needed) to make a roux to thicken mixture. When the flour is mixed in well and the mixture is smooth, add cans of golden mushroom soup with 1-3 cups of water (depending on how thick or watery you want your etouffee) and crawfish tails. Stir the etouffee well and cook covered on medium for about 30 minutes. Be sure to keep tasting mixture and add spices (salt, pepper, garlic powder, cayenne pepper) as needed. Add the rest of the butter to pot and cook uncovered for another 20 minutes. 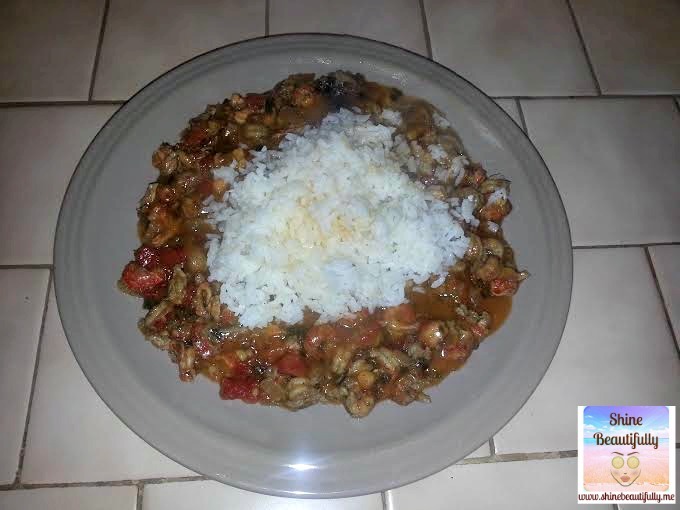 *As your etouffee is almost ready, cook up your steamed white rice. Everyone enters our lives for a reason. They may be part of our lives for a short time or in it for the long run. Each person contributes experiences, memories, and qualities that make us who we are today. Look around you, who’s in your life today? Who’s come and gone? Some you may have expected to stay for the long run and those you didn’t are still in your life and may have greater meaning to you now. Life is full of surprises. And even though I strongly believe you can control who’s stays in your life, I also think we can’t control who comes along in it. Happy Friday and appreciate everyone that comes into your life. 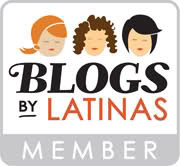 Thursday thoughts are a series to share my random thoughts with my readers so that they well get to know me a bit more. We all have a different outlook on life, feelings, emotions, and sense of humor. 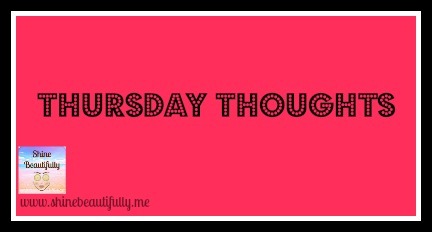 My Thursday thoughts series is just for fun, sharing, and to make you think of things yourself. Looking for the good in every situation no matter how bad things are helps with not having a ball of anxiety in your gut all day, get a good night’s sleep, and keeps you from being an angry witch. This positivity thing has made life flow much nicer. Way too many beautiful women are in love with worthless losers. These women need to search for the beauty within themselves; this way, they can be so confident, that pretty words without actions backing them up don’t even phase them. The more you grow as a person and know who you are, the more you will see who your friends are. The circle shrinks and that’s ok. Doing something you love makes you a happier person. Procrastinating on goals because of fear is just wasted time. Seems like cooler weather makes people more touchy feely. More hugs to go around, no complaints on that, who doesn’t like hugs? We won’t see the Pumpkin Spice Latte till next year, but the Caramel Brulee Latte is here! I actually had a venti this morning. Yum! Thanksgiving is almost here…double yum! I say I’m going to start Christmas shopping early every year and never follow through. I shop better under pressure, I guess…Ha ha! Speaking of spirits…I think it’s time for a winery visit. Nothing like a warm Merlot to warm your tummy. When you are near 40, you start noticing the fines lines more than the wrinkles. My mom is so much cooler now that I’m older…and my dad…well, he’s always been cool. Good friends will tell you the truth, even if it’s bad or you don’t really want to hear it. It’s hard to imagine how cold it is outside today when you’re sitting in a warm, cozy room filled with aromatherapy. These are my Thursday Thoughts…to think it’s only 2:15pm and all these things have popped in my head. Amazing how the mind works. I wonder how many of you have thought about any of these things today. If you hadn’t, you are now! 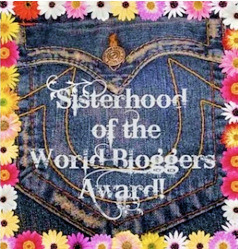 Have a good one, thanks for reading the blog. Till next week’s thoughts! Stay warm! As if the Blogalicious conference wasn’t awesome enough, we had a chance to get a photography lesson with our devices early Saturday morning. Our instructor and guide was professional photographer Candace Schaddelee of Rememory Photography based here in San Antonio, Texas. Visit her site to check out her amazing photography skills and if in the Alamo city and need a pro photographer, be sure to contact her at Candace@RememoryPhotography.com. Candace gave us tips on how to capture colors, scenery, and bring our images to life when posting them on our blogs. 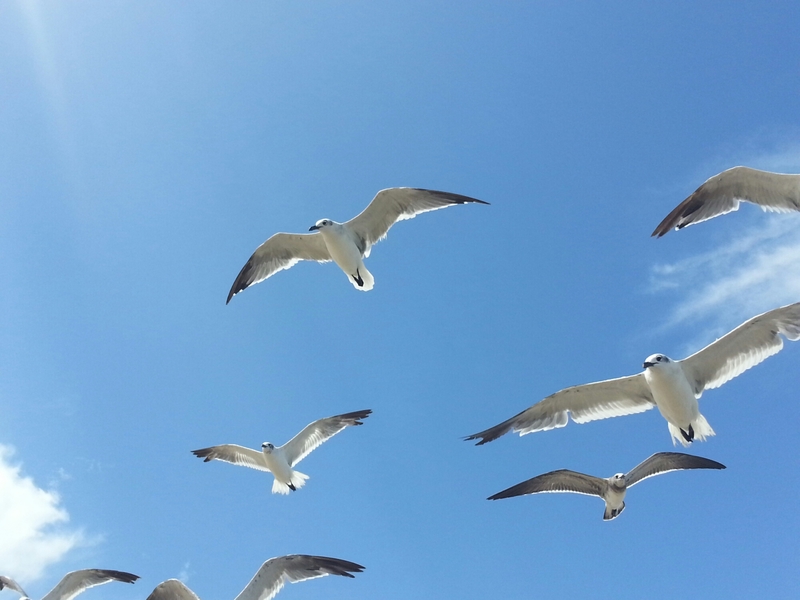 Below are a few shots I took with my Samsung Note 2 and my Samsung Tab. All pictures are unedited. Good news for fridges already full to the brim: Leftover pumpkins from Halloween can be put to a second use on your face! While pumpkins smell and taste delicious during the fall season, they’re even more effective as a natural skin care ingredient. 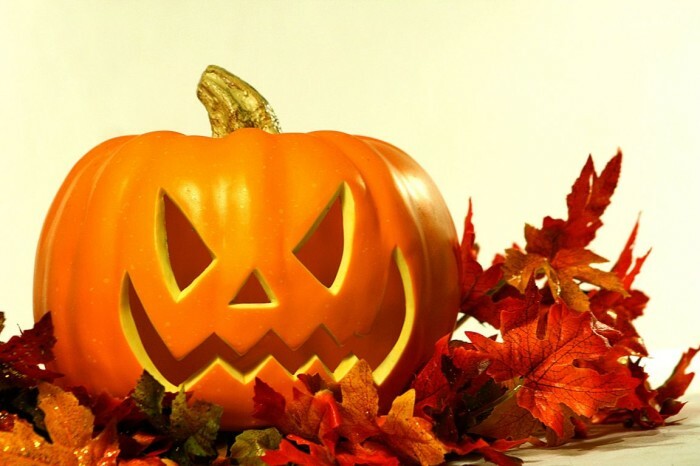 While many think the pumpkin is a vegetable, the gourd is actually a fruit because it grows on a vine and has seeds. This autumnal icon comes in various shades of green, yellow, and red, but we most recognize its bold and bright orange hue. And while many spas and skin care companies offer fancy pumpkin enzyme peels, you can re-create your very own tangerine-tinted treatments with ingredients from your fall pantry. Pumpkin provides the skin with a natural barrier to help reduce the affects of over-exposure to harmful environmental elements such as sun and wind. It contains high levels of vitamin A that helps soothe the skin and provides relief to sun-damaged skin. Pumpkin is rich in zinc, a very powerful antioxidant that acts as a shield to help protect the body against free radicals. Whereas the vitamin C present serves as a repair agent, treating any damage produced by harmful rays including fine lines and wrinkles. According to researchers, they contain over 100 ingredients to help make your skin look and feel younger. 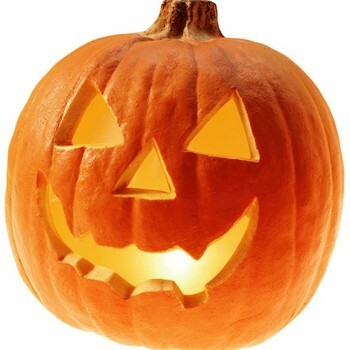 Instead of throwing away your Jack O Lanterns, get one more use out of that old pumpkin, and make yourself beautiful! Pumpkin is an excellent ingredient to help maintain great looking skin; it is suitable for all skin types and will help to restore moisture, elasticity, and natural glow to the skin. Because of the natural exfoliates and enzymes present it is especially effective for treating dry skin, these exfoliating enzymes help to remove dead skin cells and excess build-up of dirt and impurities. The natural properties of pumpkin also help stimulate circulation and healthy cell growth, which helps to promote healing of the skin and improving its overall condition. 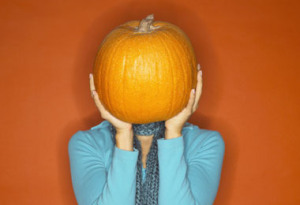 Pumpkin contains vitamins E and T that are extremely effective to help treat and control acne. If you have acne prone skin and suffer from regular breakouts, then try pumpkin based skin care products to help promote healthy skin Pumpkin contains beneficial properties that fight inflammation, reduce pore size, and prevent breakouts by controlling excess oil in the skin. 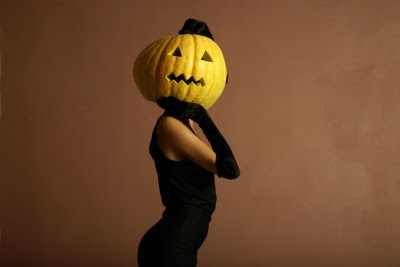 Pumpkin soothes, nourishes, and moisturizes the skin; it acts as a carrier agent and assists other beneficial ingredients to absorb deeply into the skin, further intensifying results. Try out these simple homemade recipes to experience the benefits for yourself. I know this looks like a Thanksgiving pie recipe at first glance, but we promise this yummy beauty recipe feeds your face, not your mouth. The pumpkin and cinnamon invigorate and exfoliate, while the honey acts as a humectant. First, combine all of your primary ingredients in a small bowl. Then, if you wish, add heavy whipping cream, cranberry juice, or apple cider vinegar depending on your complexion. Blend the mixture gently, and then apply a thin layer of it onto your face, avoiding the eye area. Relax for 15 minutes as you enjoy the amazing aroma wafting from your skin. Wash off with lukewarm water and pat dry. The enzymes in this simple and delicious sugar scrub will slough dead winter skin off your body. Combine your ingredients in a small bowl, and then apply the mixture to your body in the shower. Scrub your skin gently in circular motions, and rinse off with warm water. Soften dry, cracked feet with this natural enzymatic concoction. Mix the ingredients together in a small bowl and apply to clean feet. Wrap your feet with clear plastic wrap and let your tootsies marinate for 15 minutes (don’t forget to wrap in between your toes!). After time is up, rinse with lukewarm water and slather feet with your favorite foot cream. 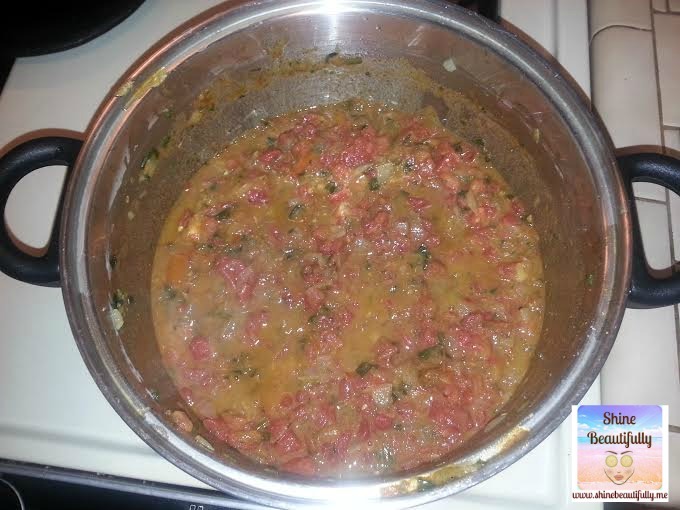 Mix all ingredients in a large bowl and stir. It’s a good idea to lay out some newspapers on your bathroom floor because this could get messy. Take your mixture and massage into your skin for 10 minutes. Rinse off with warm water and your skin will be exfoliated, healthy and glowing! Mix all ingredients together in a bowl and massage into your face. 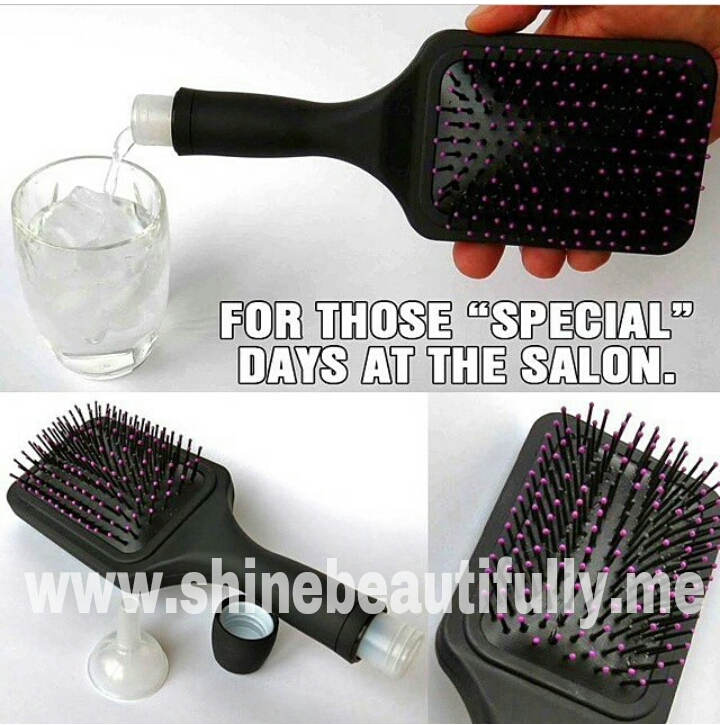 Let sit for 15 minutes and rinse off with warm water. Wash your face with your normal cleanser, if needed. Life may not be perfect… but I have never felt so free in all my existence.